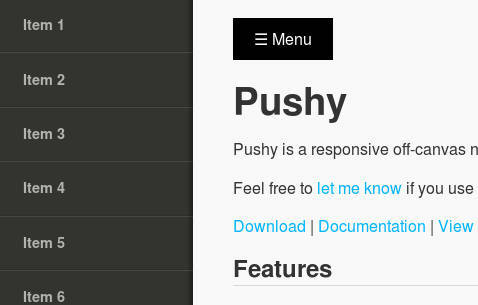 Pushy is a responsive slide navigation menu with Jquery and CSS3 transitions. It uses push in transition effect and is best for including mobile menu in websites and web applications. It is very light weight and responsive to fit on all type of devices. jQuery animation fallback for IE 7 – 9.